Picking the right groomsman gift can be a challenge. You need to get something that expresses your gratitude to the guys that are helping you on your journey to marriage. You need something affordable, memorable, and personal to stand out. 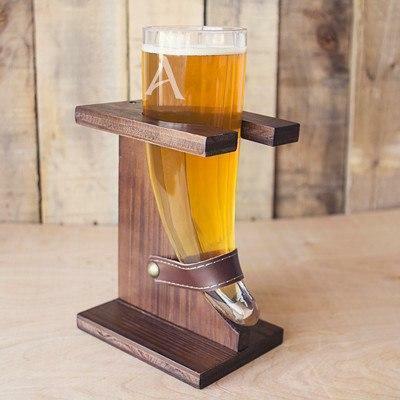 The folks over at Groovy Groomsman Gifts have some cool ideas that they shared with us. Here's some of our favorite picks for gift ideas for your groomsman. 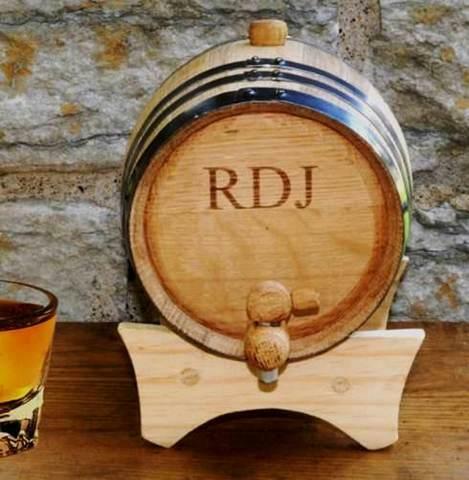 Groomsman gifts can be given at various points leading up to the wedding. Most commonly though it is presented at the rehearsal dinner or during the bachelor party. 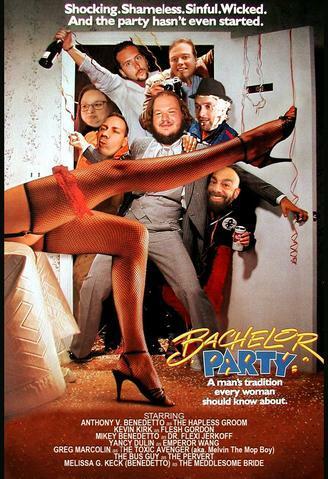 Personally, I like the idea of presenting it to your buddies as part of the bachelor party ritual and then offering a smaller token of thanks at the rehearsal dinner as well. For instance, you might present your guys with cool personalized wallets at the bachelor party before going out, then follow-up with a box of bourbon chocolates at the rehearsal dinner. No matter what you choose to give, you want to make sure it is something fun and memorable. 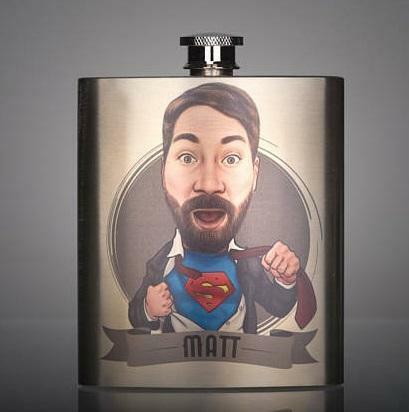 This unique flask features a personalized caricature of your guys. Anyone can give a flask with a name engraved on it, but this is a way to show how much you know about your friends' personalities. The artist will create a custom drawn caricature based on your input and you'll receive both the custom printed flask and a digital image to share online (or print out and frame). 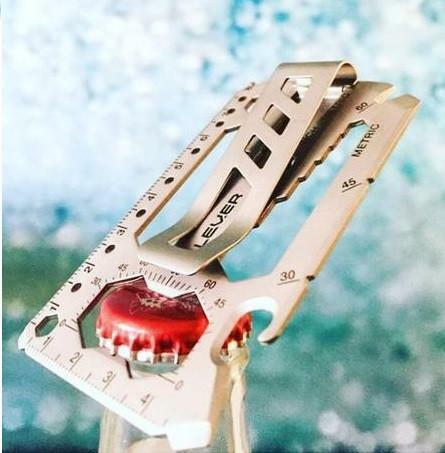 Practical as well as fun, this Do It All Tool can act as a money clip as well as bottle opener for those beers (or craft sodas) you are going to be enjoying later that night. 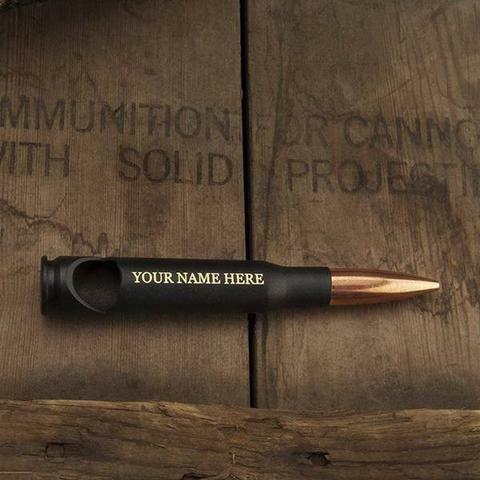 Continuing the theme of gifts that can be used to open bottles, this once-fired .50 caliber bullet bottle opener is made entirely in the United States. Can't decide which item to get your guys? Why not pick three awesome gifts instead! 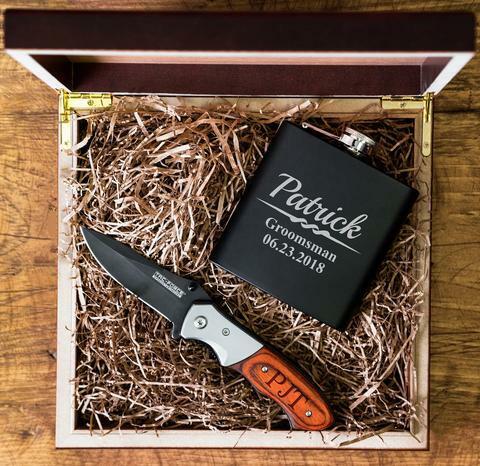 This Triple Threat Groomsman Gift Pack includes a personalized flask, and knife inside a wooden gift box that also just happens to be a humidor. 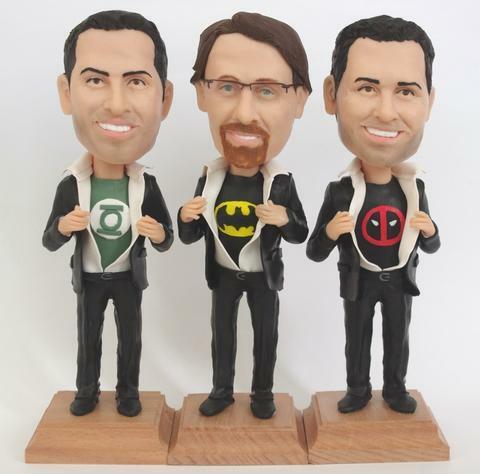 You've seen bobblehead dolls of famous athletes and celebrities - now your groomsmen can get their very own. Each head is based on photographs of your buddies and the bottle is customized based on their interests. Few warriors from history evoke the manly spirit that the Vikings do. Now, here's a chance to toast your journey like a Nordic god, by drinking from your very own beer horn that features each gentleman's monogram. 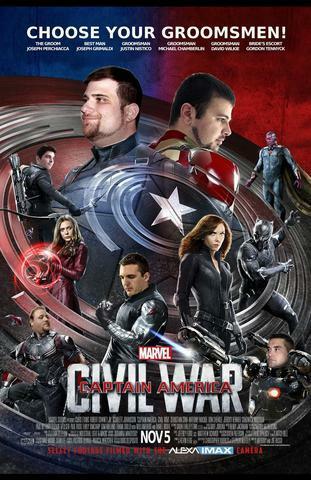 These are your brothers, so what better way to celebrate the bonds between you than a movie poster featuring all of your guys. This is one of those gift ideas that is sure to make each guy laugh and share with friends as well as ultimately be remembered long after the wedding is over. 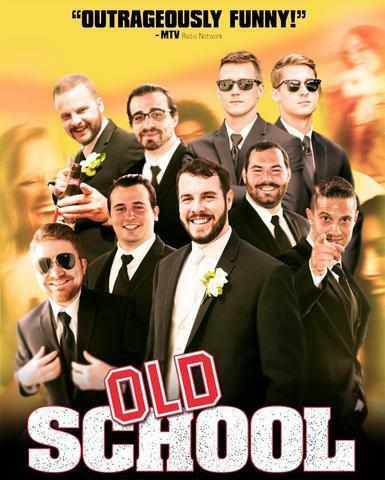 From Old School to Captain America Civil War, or even classics like Animal House, Big Lebowski, or Bachelor Party, you are sure to find a movie poster that captures the spirit of your gang! One of my favorite concepts for an incredible and memorable bachelor party is to do something different and have an adventure together. While drinking beer, wine, and cocktails is likely on the agenda - why not take a bartending class together. While you probably want to keep this gear clean that night, it's a great way to commemorate the fact that you learned how to make the perfect Old Fashioned and other cocktails together. 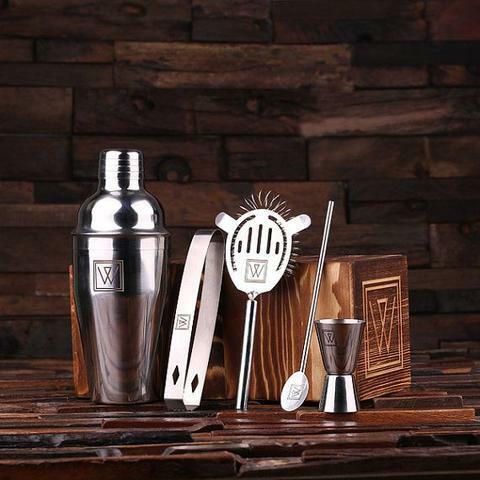 Now, each of your groomsmen is going to have his very own set of barware to make cocktails at home. 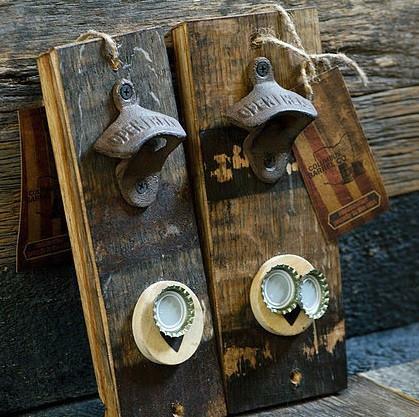 This bourbon barrel bottle opener is designed to mount on your wall and is made from wood that once contained authentic bourbon whiskey. While you'll have to add your own spirits, this is a real whiskey barrel that can hold up to 2 liters of your favorite whiskey. Not only will this make a great centerpiece in any mancave but it's also an opportunity to celebrate a year ... two years ... or maybe even longer after the wedding. Call your brothers up and toast to the great memories and good times you guys had together. Who said that a groomsman gift had to only be about the journey up to being married? Just like your relationships, the gift you pick should be something that creates memories to last a lifetime!